We would like to inform you that MedVacation has two gorgeous Grade 1 embryos available for adoption. 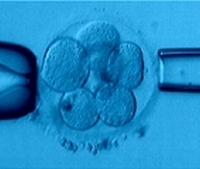 These embryos may be a great match for prospective IVF patients who are interested in adopting embryos from prescreened Caucasian donors. The cost of this affordable Embryo Adoption Package is $8,999. The package includes frozen embryo transfer (FET), one round trip airfare and hotel accommodation for three nights (4 days). If you choose to adopt these embryos, your savings will be around $3,500. You can further reduce the cost of your package, if you have airline miles and/or hotel points that you can use for this trip. Follow this link to learn more about this embryo adoption offer.